The sewing needle is one of the main components of your sewing machine. It is also one of the most changeable components. The sewing needle can be switched to many different sizes, length or thickness for varying types of stitching needs. Specialized needles are used to work with tougher material like denim and leather. It is important to understand how the needle works as it sews through the fabric. It will help you choose the correct needle for the project and also help you determine when to switch the needle during the project. All sewing machine needles are made of similar segments. The major difference is in the variation of these parts. Variances in length, width or shape determine the size of the needle and its purpose. A needle suited for leather work wouldn’t work as well on lines and punch holes in the fabric, while a needle suited for cotton stitching would quickly break on harder types of material. The major components of sewing needles consist of the following. This is the uppermost, thicker part of the sewing machine needle. This is the part that is put inside the machine and the mechanism latches onto it to hold the needle in place. Most home sewing machine models in use today have a needle shank that is flat on one side and round on the other side to help position it correctly. Your sewing machine will come with a manual on how to insert the needle into the machine for proper positioning. Commercial and industrial grade machine needles have a shank that is completely round. There are grooves on the shank that are used to determine the direction the needle should face when it’s being inserting into the machine. The needle shaft includes the area of the needle from the shank to the point. It usually runs in a thin straight line with additional components built into the shaft. The shaft is built to withstand pressure as it undergoes a lot of friction from the fabric as the needle eye runs through it. Needle shafts help strengthen the needle by creating enlarged holes in the fabric while it’s is at its lowest point and then keeps it stable when the needle is raised back to come out of the fabric. The shaft can either be straight and uniform throughout its length or tapered from the shank to the tip so that the needle can flow through the material easily. The needle groove is a slight thickness on the needle that starts near the middle of the needle and leads to the needle eye, ending just before the tip. It is used to give the thread a place to pass through the needle. If you run your fingertips on the groove, you can feel it easily. Heavier and thicker threads need a wider groove than thin threads. There are two parts of the groove. The long groove gives the thread shielding against the fabric when it is carried down into the material. It starts near the middle of the needle and carries up to the needle eye. The long groove helps reduce the abrasion and friction of the fabric. The short groove is located on the opposite side of the long groove. It extends around the needle eye and helps form the needle loop. The needle scarf is located on a needle’s side just above the needle eye. The scarf is used to let the bobbin hook intersect the thread on the upper side when the needle is coming out. This movement helps create the stitch that runs along the fabric. This is the opening or hole in the needle that is used to pass the thread. It is an elongated hole that is lengthened through the shaft with the help of the short and long grooves on the needle. The inner part of the hole is crucial for avoiding damage to the sewing thread and creating a nice loop formation. The size of the eye can vary in both length and width. Needles used for heavier material, such as leather, have a wider eye so that nylon thread can pass through it easily. When working on different projects, you should use the needle with an appropriately sized eye where the thread fits through the needle perfectly. 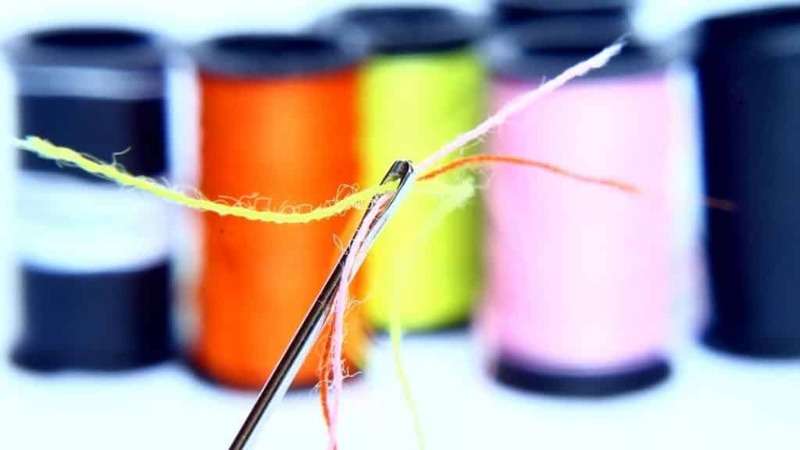 Using a needle with an eye that is too big or too small can cause your thread to break or lose its tension. This is the needle tip and the bottom-most part of an attached needle. This point is the first one to make contact with the fabric. It is responsible for handling how the needle pierces the fabric. Cotton cloth and other lightweight fabrics use a very fine point needle that does not leave a mark on the fabric. Denim and quilting needles taper to be a bit wider thickness so that it can penetrate through the material easily without breaking. Regular needles can be categorized into four distinct types based on the needle tip. These are multi-purpose needles that can be used for materials that have been weaved or knitted together. The tip of the universal needle is sharp but also rounded slightly, giving it the characteristics of both the sharp and ballpoint needles. This type of needle is ideal for projects where you have to rely on a single needle for different fabric types and stitching styles. However, it may not be the best if you are looking particularly for better quality stitching. These can be used for all kinds of fabric that are weaved to make the cloth. The fine, sharp point is good for sewing straight lines and it can also be used for topstitching. The needle makes a fine penetration into the material and does not leave any visible holes. It is great for decorative stitching and embroidery. These needles are designed for knitting fabric. The ballpoint tip allows the needle to glide between the fabric loops without damaging the fibers of the material. 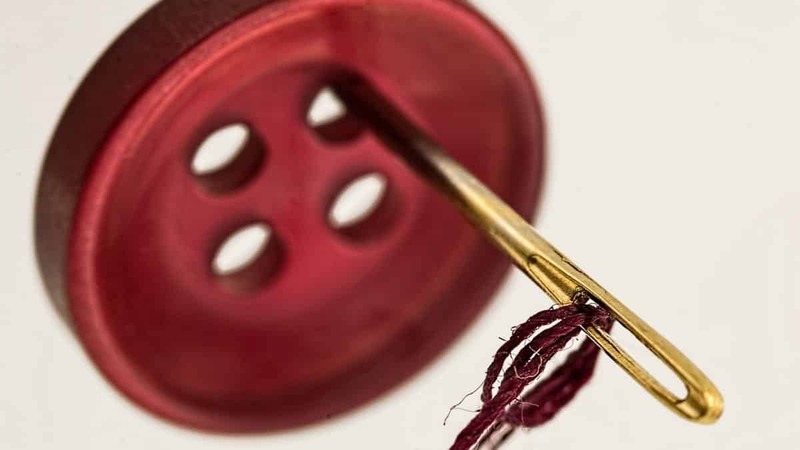 The ballpoint needles don’t form straight and tight stitches like the sharp needles which prevent the thread from breaking or getting damaged while sewing. These needles also have a ballpoint-style rounded head. However, the needle eye and scarf are specially designed to work with highly stretchable material and elastic. If you stretch the fabric after stitching, the thread also stretches with the material without breaking. There are two distinct measurement systems used when it comes to sewing needle sizes. If you understand the numbers assigned to each type of sewing needle, you will find have less difficulty in choosing the right sewing needle. The two measurement systems are the American and European systems. The American system runs from 8 to 19 and the European system goes from 60 to 120. The corresponding sewing needle sizes for both systems are as follows. The smaller the needle size, the finer and smaller it is. The higher the needle number, the thicker and heavier it is. The lower numbered needles are used for precise jobs such as embroidery or stitching pillow and cushion cases. For example, if you want to carry out precise embroidery on a sheet, you would use an 8/60 needle. Thicker fabric requires a heavier needle size. If you want to work on a denim project, you would need a stronger needle like a 16/100. This needle is strong enough to penetrate the material and the needle eye is also bigger allowing you to use a heavier thread that can hold the fabric together. For leather, you would typically need an 18/110 needle to do a good job. Leather comes in different thicknesses and the best needle for your project would depend on what you need to do. If you are working on a project that uses both heavy and light materials, then you may want to work with a needle somewhere in the middle of the range. Suppose your project requires you to work on both linen and canvas. If you used a heavy needle, like an 18/110, it would put holes in the linen. If you used a needle size 9/65, it would break when pressed into the canvas. A good needle to use would be 14/90 for the project. There is one more thing to keep in mind when looking to buy different sized needles. 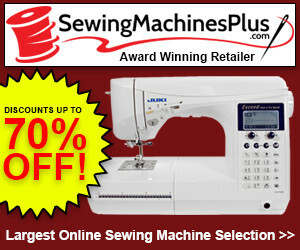 A home sewing machine needle is classified as 130/705 H system. This identifies that the needle should be used for home sewing machines rather than industrial purpose. The shank and scarf for the home needles are flat. Home sewing needles have a lifespan of six to eight hours of sewing time in total. Even the heavy ones don’t last longer than that. In fact, the heavier needles tend to get worn out and break sooner as you use them on thick fabric. The good thing is that needles are one of the least expensive parts in a sewing machine. A box of 100 PCS needles costs around $10 – $20. You should consider changing your needles whenever starting a new project to avoid breaking them during stitching. Apart from the regular needles, there are a variety of special needles built for specific purposes. Some needles are designed specifically to be used for certain kinds of material or serve a specific stitching function. The special stitching needles include the following. A number of ‘over the edge’ and safety sewing machines use a special kind of curved needles that allow you to stitch special projects. These types of needles cost more and their lifespan is also shorter as the shaft is curved and more likely to break during stitching. However, sewing machines that can work with curved needles are able to achieve faster stitching at a higher speed than regular, straight needle machines. These needles are thin and short and they allow delicate threads like embroidery cotton and rayon to be used for creating stitching designs. If you use a regular needle for embroidery, the fabric can get flexed and stretch and cause missed stitches to appear on the pattern. This can ruin your design and very difficult to correct with the machine. A specialized embroidery needle has a pontoon scarf with an oversized bump that lowers the chance of missing stitches. These needles have an extra-sharp point that can pierce through all kinds of materials easily. They have a large needle eye that allows a thick top-stitching thread to be used for sewing. This needle is not very thick and heavy, increasing its likelihood to break when used on heavy material for long. These needles are used for tucking pin or decorative stitching with multiple patterns running side-by-side. In order to get the best results, a low stitching speed is used which gives the user more control. The dual or triple needles may not be compatible with all sewing machines, so you should check the user manual for your machine before trying to use one. They are heavy-duty, special-purpose needles that are built for working on leather projects. The needle’s point is designed to look like a chisel that can penetrate through leather effectively. These needles can work with most kinds of leather including full grain and suede. However, they are not meant for use with imitation leather or synthetic suede.